Have you ever felt nervous about visiting the dentist, or dreaded going to a dental appointment? 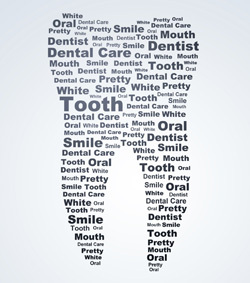 At Dental Link, we believe in dental care that’s easy and simple for you. Our Wembley Downs, Sorrento and Doubleview dentists want to keep you comfortable throughout your entire visit. Sometimes that means providing additional time for your procedure. Others situations may even call for sedation, to ensure that your mind is completely at ease no matter what service you may be receiving. The sedation options we offer include IV sedation, inhalation and sedation and oral sedation, chosen based on your needs and which procedures you’re receiving. Why Should You Choose Sleep Dentistry? Sometimes called “Twilight Sedation,”IV sedation allows you to complete large amounts of treatment in fewer visits. This safe medication prevents you from making multiple appointments or taking extra time off of work. The moderate IV sedation is administered by a licensed anaesthetist that comes into our office, so you don’t have to have your treatment completed at a hospital. It’s also an option to choose light inhalation sedation or oral sedation, which are safely administered by our Doubleview dentists. These lighter forms of sedation allow you to be responsive throughout the procedure, but limit your anxiety or how much you remember about the visit. Inhalation sedation involves a mixture of oxygen and nitrous oxide breathed in through a nosepiece. Oral sedation consists of a medication that you can take prior to the procedure so that you feel relaxed by the time we are ready to proceed. If you’ve delayed your care because of anxiety or fear of what it will feel like, ask how our sleep dentistry options can help. Contact Dental Link today for more information. Keep in mind that you can use your health fund coverage for your visits and process your rebate on-site with HICAPS.